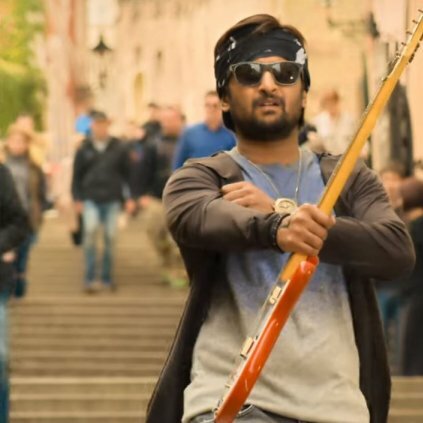 Krishnarjuna Yuddham Teaser looks promising as Nani plays a Double role. Nani is one of the actors in Tollywood industry who chooses movies based on their stories and acting scope. 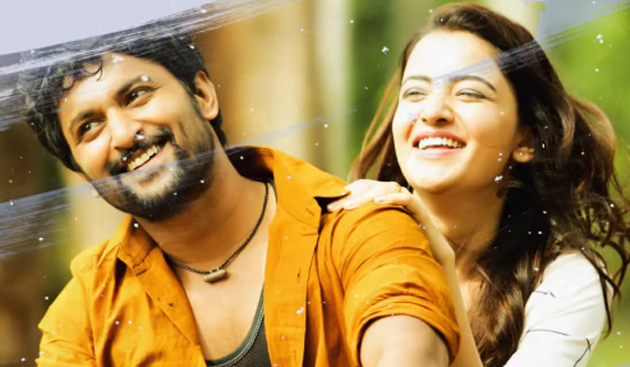 Nani’s new venture Krishnarjuna Yuddham Teaser was released on March 10th and it looks promising as he is playing a double role. He is playing a role of Arjun who is a rock star and Krishna, a mass village guy. He looks great in both the roles but this is the first time he’s playing a role of a rockstar in the movie so let’s just wait and watch how he’ll look in the role. Krishnarjuna Yuddham is a comedy entertainer which is all set to release on 12th April 2018. Arjun who is a rock star looks like a Casanova in the trailer where he is able to woo any girl within minutes. Whereas Krishna falls in love with a girl tries to impress her. The trailer looks quite interesting and shows a lot of variation between both his roles. 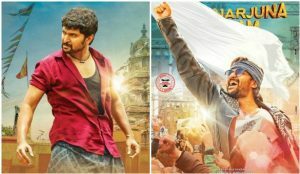 Like every movie of Nani, it has a touch of comedy. Whereas Arjun tries to woo Parvathi, Anupama Parameswaran like any other girl but on seeing her beating a guy, he gets shocked seeing that she’s not like someone else. The film is being written and directed by Merlapaka Gandhi who had directed super hit movies like Venkatadri Express and Express Raja. The film is being produced by Sahu Garapati, Harish Peddi. Music is being given by Hip Hop Tamizha, though he was a music director for many Tamil films, this is his second film and the first was Ramcharan’s “Dhruva” which had beautiful songs. we can keep some expectations over the movie’s music. Nani was last seen in the movie “Middle Class Abbayi” which starred Sai Pallavi as the female lead and Bhoomika also played an important role in the film which is her comeback in the film industry as she left the film industry after getting married. The film received a lot of positive comments. The film also casts Anupama Parameswaran, Rukshar Mir, Sanjay Swaroop, Subbaraju, Rajendra Prasad, Jayaprakash, Supreeth Reddy, Viva Raghav, and Shravan. Rukhsar Mir is relatively a new face for the audience but she had worked in a Telugu film “Akataayi” and a few films in the Kannada film industry. anupama who rose to fame with her role in Premam is currently busy with two films in her hands. She is also acting in Dil Raju’s “Hello Guru Prema Kosame” alongside Ram Pothineni.